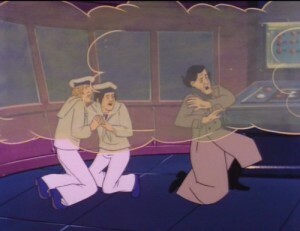 This strange visitor rides around in a purple blimp with henchmen dressed as sailors. Doctor Fright is his name, and fear is his game. Fear in the form of gas his blimp releases, which causes everyone to panic. Doctor Fright is not what you’d imagine he’d look like. 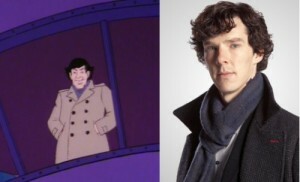 He looks to me a lot like Benedict Cumberbatch as Sherlock Holmes, with a little bit of Inspector Gadget thrown in. 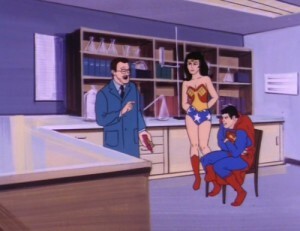 The Super Friends are told of this dastardly deed, and Superman and Wonder Woman are dispatched to try and help. You know, if you’re going to basically have a villain with the same M.O. as Batman’s Scarecrow, why not just have it be Scarecrow? While I know it wouldn’t have allowed me to mention the name Benedict Cumberbatch, which is one of my most favorite names, I don’t see how that would have had any bearing in the 1970s when this episode was being made. So weird. For a man named after it, you don’t seem to understand the concept of fear. Doctor Fright is making everyone afraid of everything because he thinks when people are afraid, they won’t commit crimes. “Total peace on earth,” he exclaims to himself. I know I’ve lived a pretty sheltered life, but even the brutal beatings I’ve seen bees and spiders take at the hands of screaming people has shown me that terrible things can happen when people are afraid. Superman thinks he can pick up the location of the blimp with his super hearing. He seems quite surprised that it worked. I always think they can’t top themselves, and then they do. You know, sometimes, I sit here, watching this ridiculous show, and I think, maybe I could be doing more with my time. Maybe I could help people, or plant a tree, or volunteer more. 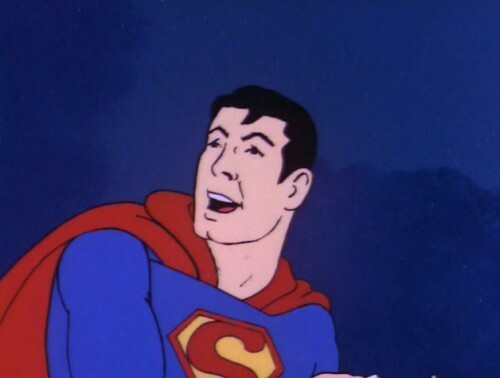 But, then, while I ponder my life choices, Superman gets sprayed with fear gas, and becomes a quivering blob of wimp because he’s afraid of a house cat. And my faith is restored. And then, she has to climb a ladder with him hanging on her back because he’s afraid of heights. Then, they go to the Metropolis Science Institute. 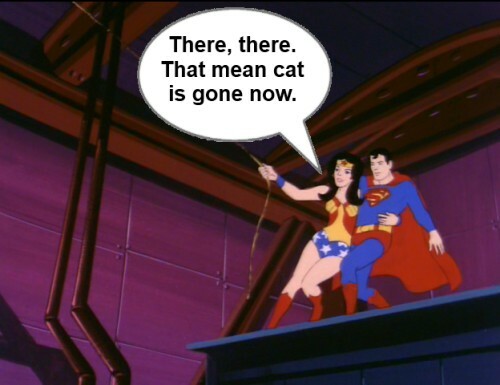 Somehow, the scientist there knows exactly what the antidote is and gives it to Superman, who is just a mess after the ordeal of seeing a cat and climbing a ladder. Then, he vaccinates them or something, so that they are no longer affected by the gas. 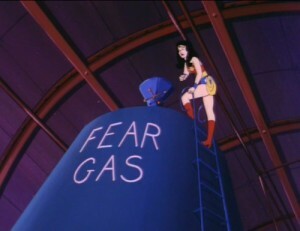 Wonder Woman climbs the Fear Gas thermos and dumps in some neutralizing pellets that the scientist gave her. 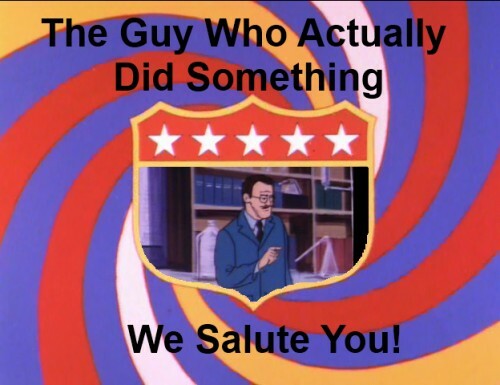 So, three cheers for the actual hero of this story, the nameless Metropolis Science Institute scientist! I read this 3 times. I remember this episode as a kid – I was 7, the same age as my youngest daughter. Dr. Fright is a better dressed Scarecrow, so didn’t the Batman take this one? 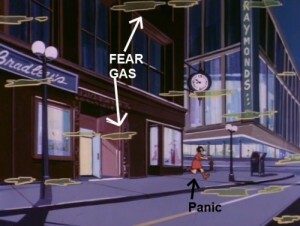 Maybe because Robin was too scared without the gas? This episode was a victory for Women. WW & the scientist saved the day while the Superman looks like a complete loser. Exactly. I loved every second of it. Five stars. Sometimes I exude fear gas, but there’s no antidote. I assume you store it in a canister. I do. You know who else Dr. Fright looks like- is Jim from the Office. Yeah, with black hair, I can see that. Oh my god, I just became 8 again. Only I was 8 with a much more refined cinematic palette. Thanks, nerd. That’s funny, I bring a fear thermos to work almost everyday. Although mine is always filled with hot cocoa. Don’t get it near Superman, he’ll be worried it may burn him. What’s Superman doing with his right hand while WW carries him up the ladder? 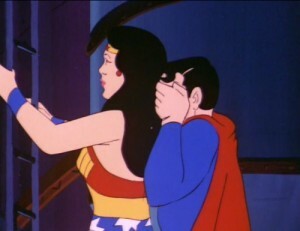 Maybe he was faking his fear to get a chance at a little Wonderbooby action. Yeah, but… did you SEE that cat? I mean, look at the look on its face. Clearly it’s up to no good! I love the cat’s expression! That cat is very comfortable with him or herself. 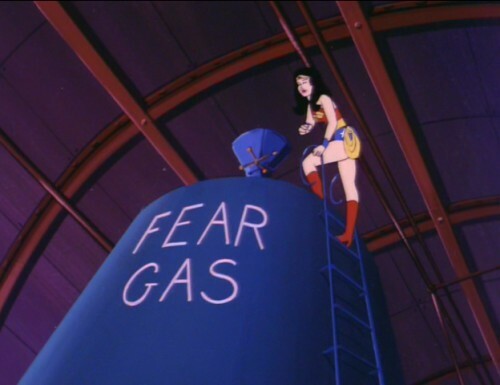 I like that the giant storage vessel is painted with a “Fear Gas” sign so that nobody mistakes it for any of the other gases being stored in the lair. That’s good safety practice! 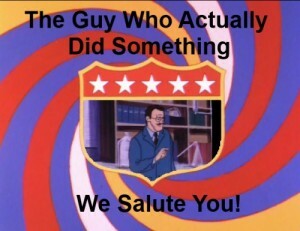 Yeah, if you accidentally sprayed everyone with “Brave Gas” the crime rate would skyrocket. Previous Previous post: If anyone in this house snaps, it’s best if it’s me.